I’m 100% Italian and I love pasta!!! Its true, I could eat it all the time because you can do so much with it, the pasta possibilities are endless! Whether you are craving a classic lasagna or something lighter like a vegetable packed pasta salad… pasta makes for a great simple meal. Sure a lasagna takes a little prep but it really isn’t very complicated at all and if prepped ahead could even make for a weeknight meal! What else do I love about pasta? Budget friendly baby; you can really stretch the buck with pasta. 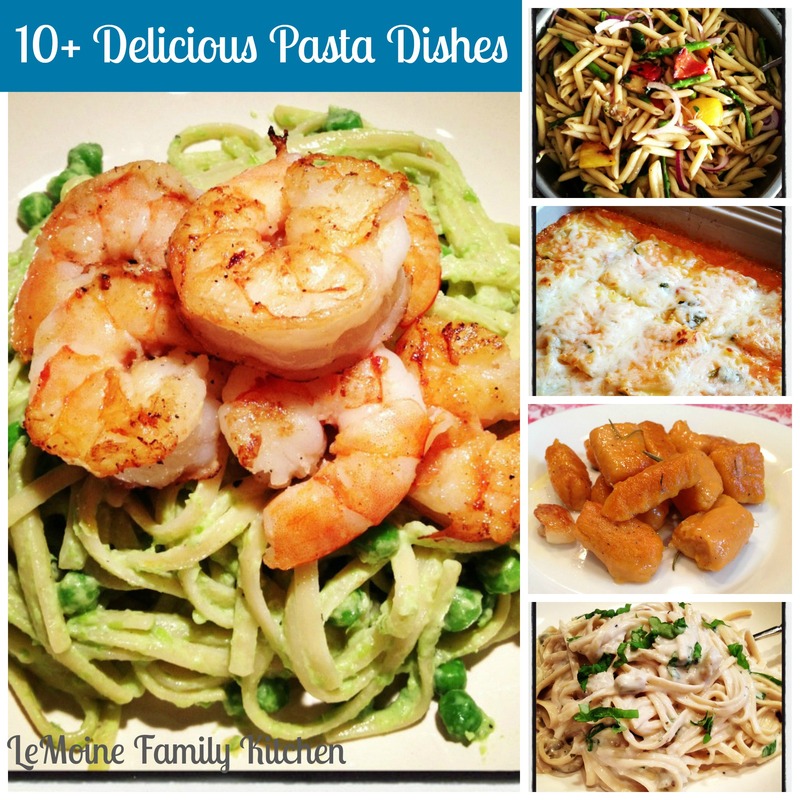 I hope you give some of these Deliciouis Pasta Dishes a try and enjoy them as much as we do! DO NOT miss out on your chance to win a $100 Amazon Gift Card!!! 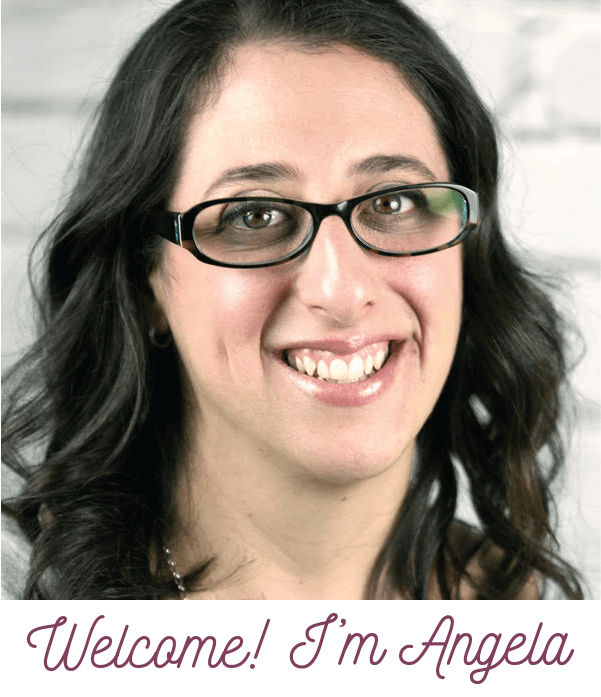 Britni from The Princess & Her Cowboys is celebrating her blogiversary and a group of us bloggers are celebrating with her! Check out the giveaway at the end of the post! Yea, its supposed to be Spring but theres snow on the ground. 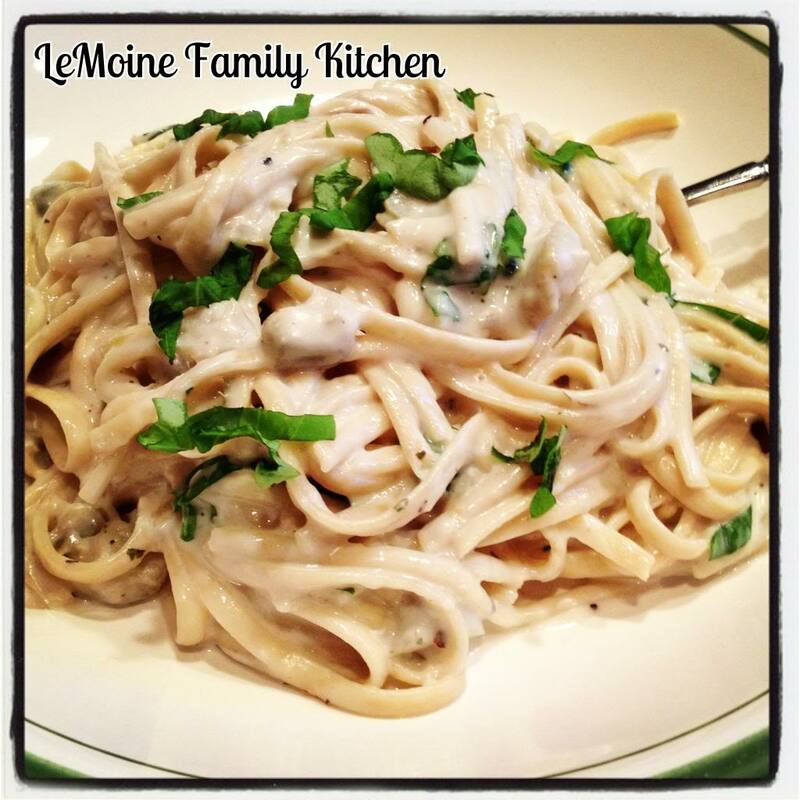 For me, when its freezing and I can’t get the chill out of my body, I look for warm comfort food and this Linguini in a Creamy Artichoke Sauce always hits the spot! I have really learned to love kale! Its not only a delicious hearty green, its a superfood! I love pairing up different veggies with chicken sausage. 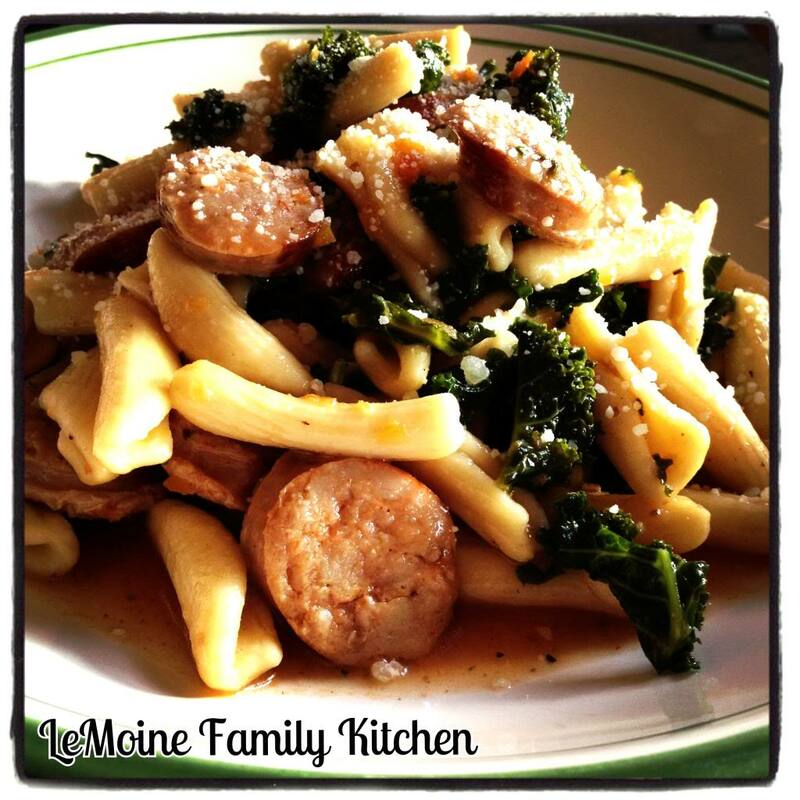 This Cavetelli with Chicken Sausage and Kale is tossed in a light garlicky broth based sauce. Perfect hearty weeknight meal! Spring peas, along with asparagus, its time! While I used frozen at the time, if you can find fresh spring peas now, go for it! 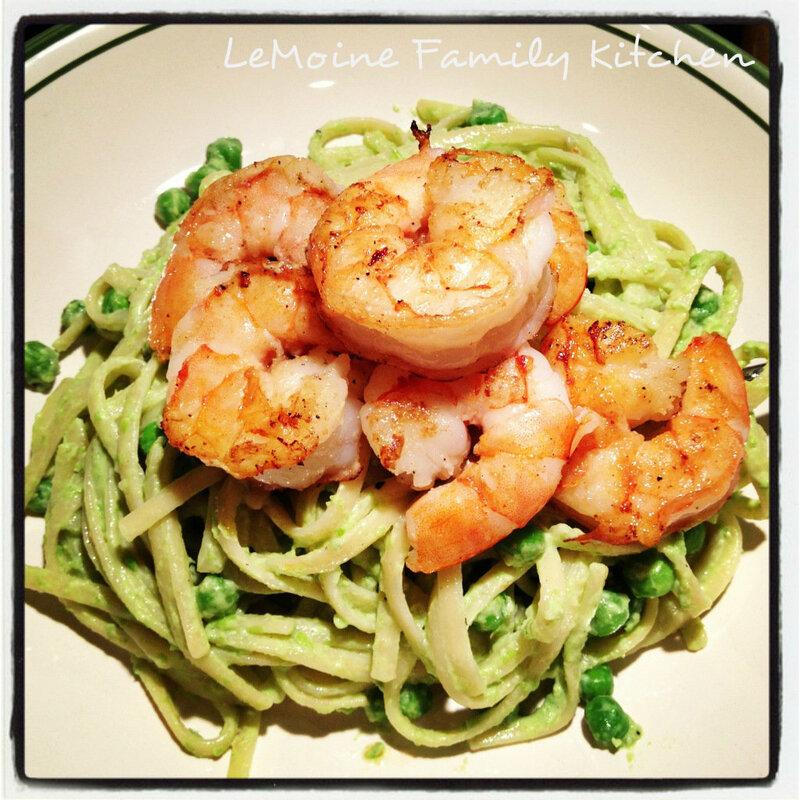 I love this Linguini with Creamy Pea Sauce and Sautéed Shrimp! That beautiful bright green topped with those perfectly tender shrimp, drool! Like spicy wings? Then you will seriously go crazy for this Buffalo Chicken Mac & Cheese!!! 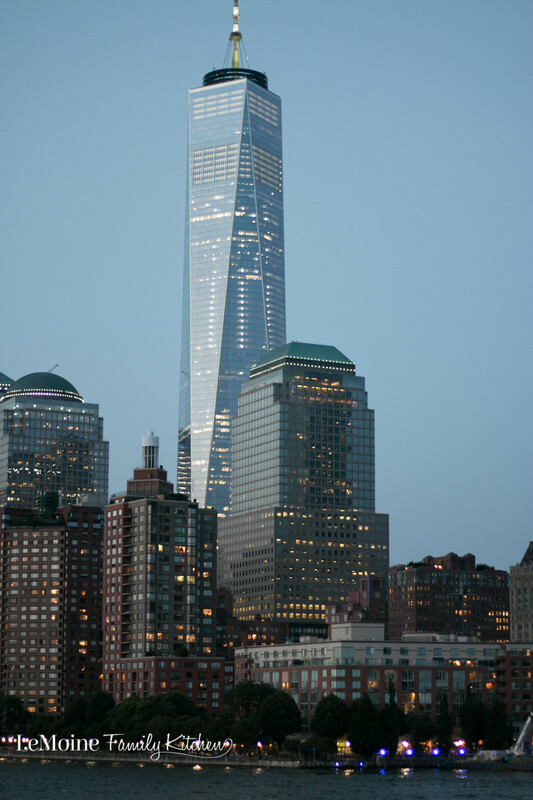 Its just fantastic!!! Growing up, whenever my mom made lasagna my favorite part was snacking on the “extras”. The noodles that were either stuck together or torn, smeared with a little ricotta and dunked into the pot of sauce! Its no surprise that I really really enjoy lasagna rolls! These Spinach Lasagna Rolls are so so good and once the sauce is cooked, they are easy peasy! I love this one! 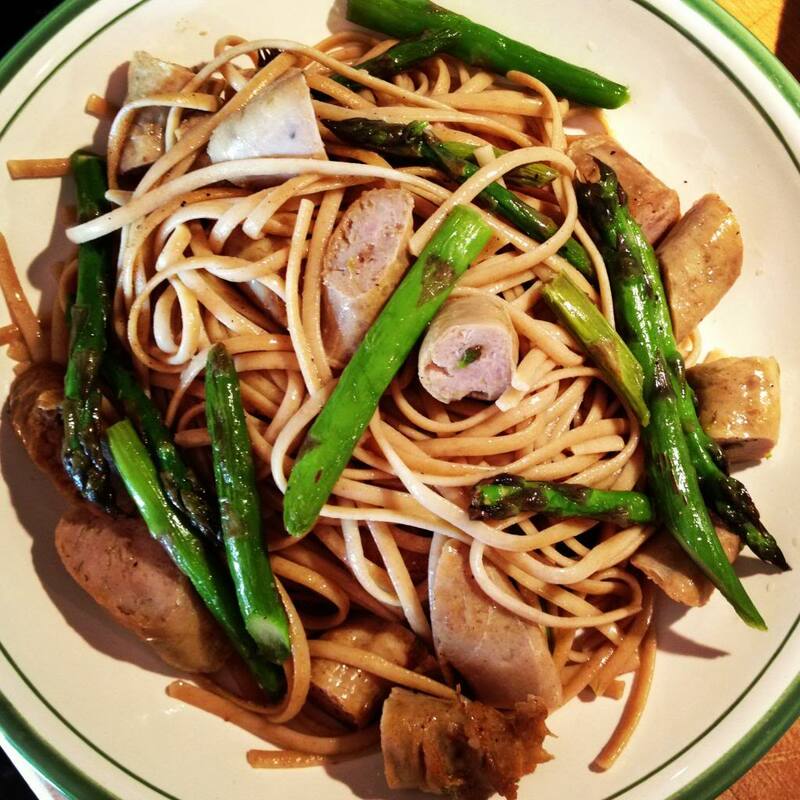 Its so ridiculously simple but the flavors of this Linguini with Springtime Asparagus and Chicken Sausage just work great together! Its no secret, I have a slight addiction to anything with spinach and artichokes! 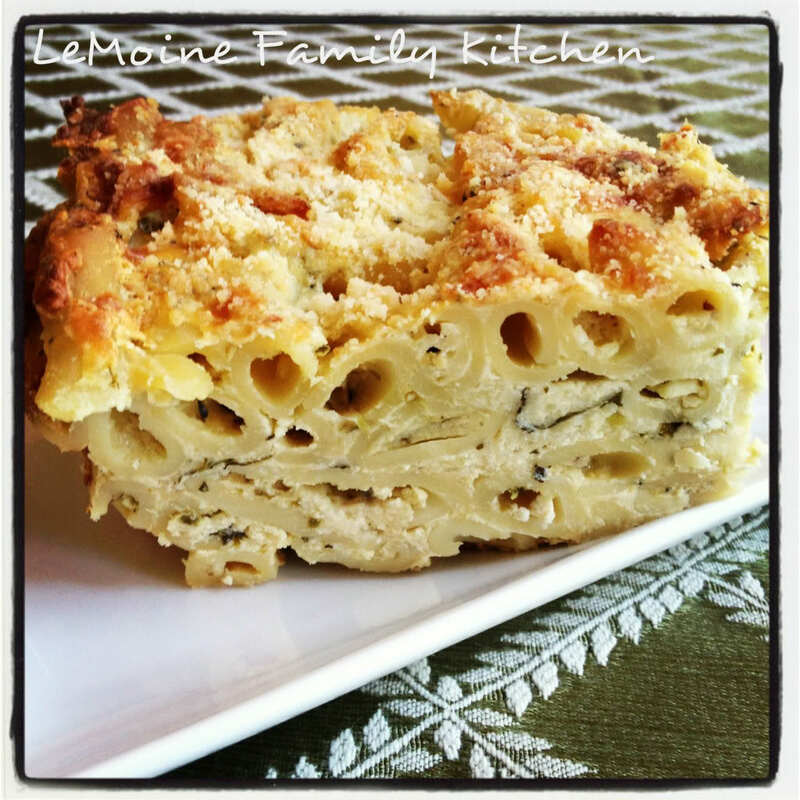 This Baked Spinach & Artichoke Pasta is gooey, delicious and perfect for a crowd! I’m dreaming of summer days and grilling! This Grilled Vegetable Pasta Salad is the perfect side dish for any summer gathering! 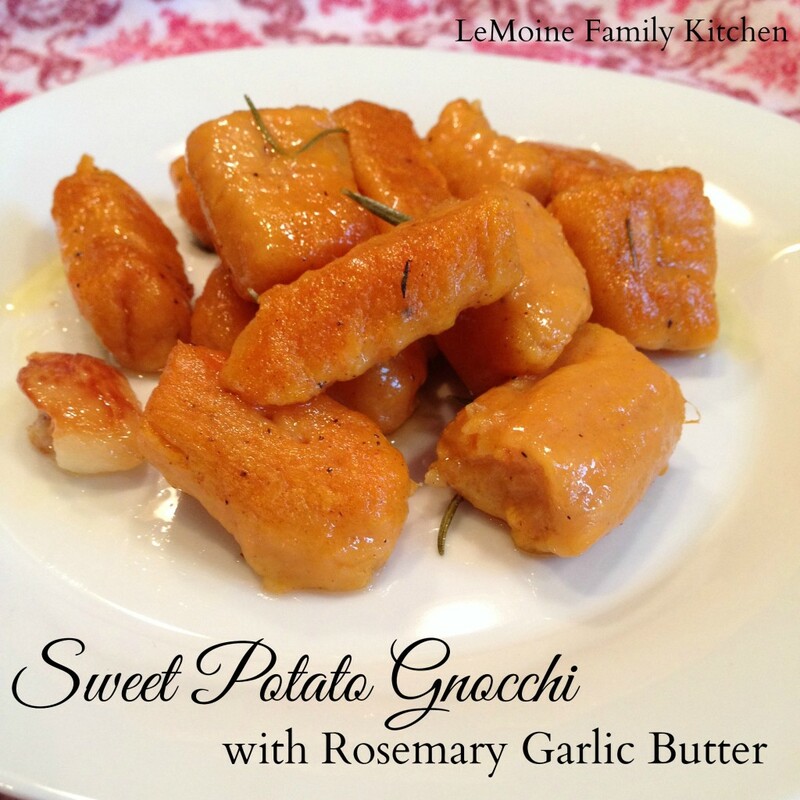 I can’t say enough about these Sweet Potato Gnocchi with Rosemary Garlic Butter! The sweetness of those pillows of love with a light sauté on them and then tossed in such a simple and flavorful butter sauce! So good! Asparagus season is here! Take advantage of these stalks of goodness now. I love making different pestos; whether basil, artichoke, parsley, cilantro or sun dried tomato they are simple to make and oh so good! 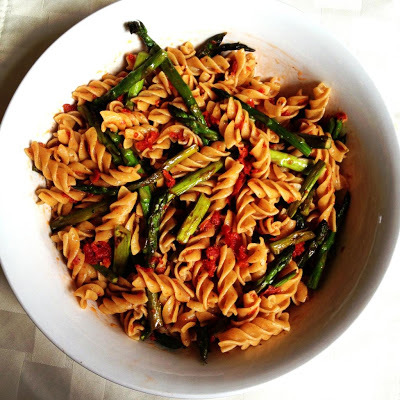 Fusilli with Asparagus & Sun Dried Tomato Pesto, try it. For another hearty baked pasta dish, this Baked Ziti with Pesto Béchamel is a rich and delicious twist on a classic! I made this simple pasta dish for Valentines Day and just, YUM! 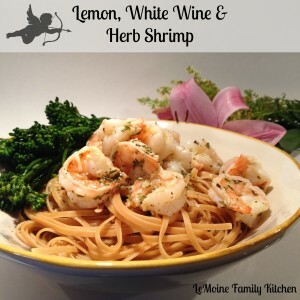 Lemon, White Wine & Herb Shrimp. Shrimp make for a great addition to a pasta dish because they cook up so quickly and take on whatever flavor you’d like. This sauce is light and delicious! Yum! I just printed a bunch of these recipes. They look great. I especially like the cavetelli with chicken sausage. 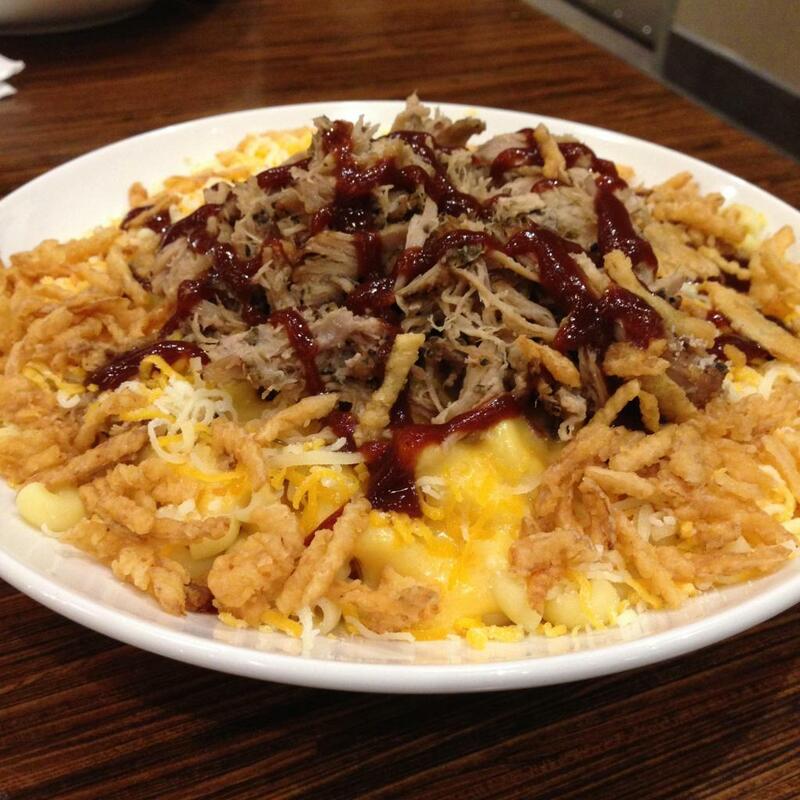 That looks delish. Food Network Mag just came out with a recipe to make homemade cavetelli, maybe this was a sign to give it a try! The amazon card giveaway is amazing. 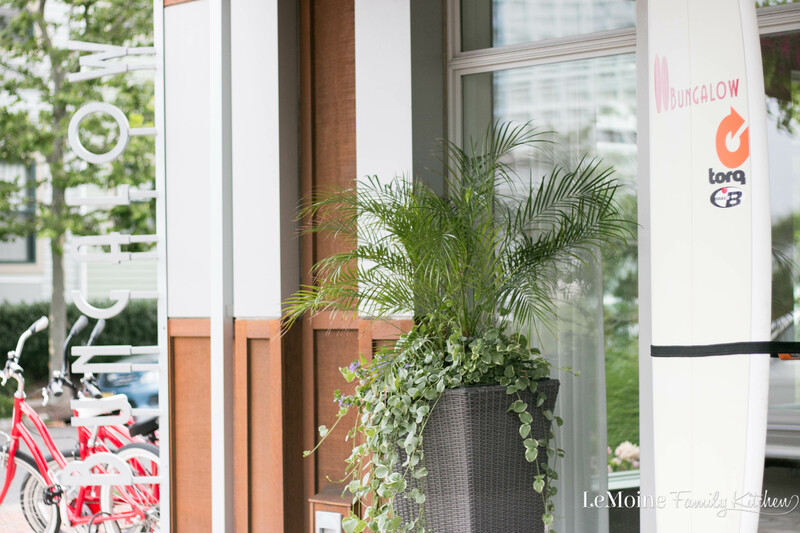 I would buy something Le Cruset if they sell it there. If not, definitely something for my kitchen! Love it! It must be the pasta gods speaking!!! I love cavetelli & love Le Creuset! Good luck! I would put it toward the purchase of a Breville Juicer I’ve had my eye on for over a year.